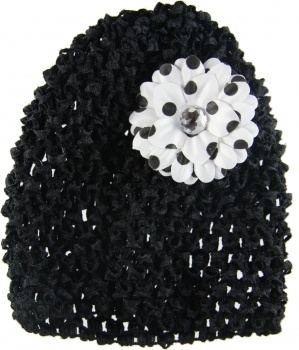 This is a Black Infant Waffle Crochet Beanie that has a White with Black Polka Dots Silk Daisy attached. The Polka Dots are always a hit. This is a great 2 for 1 deal because each of these pieces can stand alone and of course look great when worn together. This flower is 2.75" in diameter.